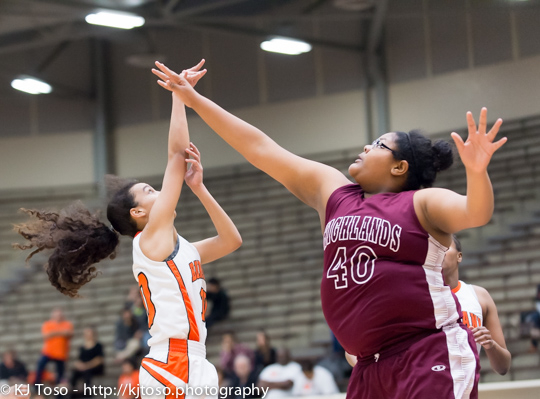 Highlands post Susana Stephens (40) goes after a shot from Burbank guard Jade Moore (10). OTHER AREA TEAMS – Brackenridge. Finals – Saturday. South San at Veterans Memorial, 3 p.m.
OTHER AREA TEAMS – Sam Houston. Finals – Saturday. OTHER AREA TEAMS — McCollum, Providence, Southside, Southwest Legacy, Young Women’s Leadership Academy. AREA TEAMS – East Central. Finals – Saturday.